space is limited!! reserve your spot today! Lisa Mase' will lead us through the feast! Come to the farm to learn how to turn your summer garden into a medicine cabinet! Pooh will go over the basics of soil prep, sampling and testing as well as fertility and how it works into the soil solution. FINAL PERENNIAL SALE OF THE SEASON! 25% OFF ALL PERENNIALS! Get a head start on next season's garden and stock up on your old favorites or new intrigues. Pooh and Anne Sprague have been growing strawberries along the Connecticut River Valley for the past 41 years. Join Pooh tomorrow at the Farmstand at noon for words from a long time sage berry grower on the trials and errors and successes of growing our very favorite crop, strawberries. On top of the knowledge you will gain from Pooh, and the answers to your growing questions, there will also be a host of strawberry themed food made from our own farmstand kitchen. Come for the Strawberry Shortcakes- Stay for the MOVIE!! Let's celebrate the beginning of the Harvest Season down in Cornish Town! Help us eat last season's frozen strawberries and watch INDIANA JONES under the warm summer night sky (unless it's raining thank-goodness for the barn). Our Farmstand opens for the season next Wednesday (June 14th). I think we can all agree that it is time to start eating from our fields again- BOOYAH! 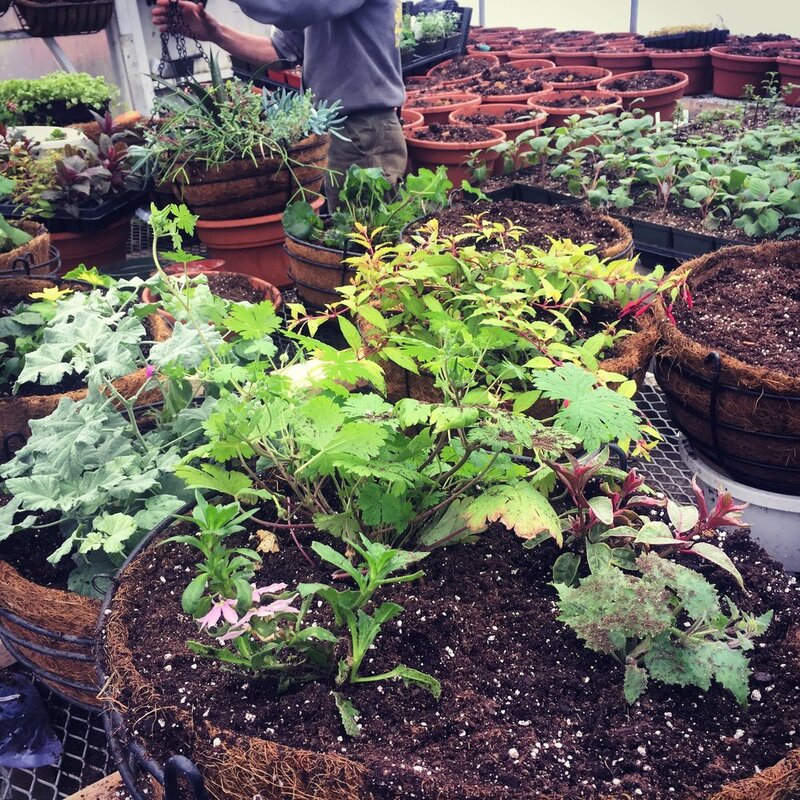 Celebrate Earth Day by stopping in at Edgewater Farm and checking out this year's ever-changing (ever-growing) selection! Taco Night at Edgewater Farm South (the old Putnam Farm in Cornish)? YES PLEASE! HUGE PLANT SALE AT OUR FARMSTAND!! The Greenhouses are officially closed on River Road- ALL plants are moved up to our farmstand's plant barn on Route 12A. Killer deal. We'll see you there. Celebrate farmstand opening day with fresh greens and kitchen eats and maybe, just maybe strawberries! 1st CSA day of the Harvest Season! Very first CSA day of the season!!! wooohooo! Clink link for pick up times and locations. And as always, get pumped for local seasonal produce all summer long. Thank you for being apart of our Farm's community- making our farm, your farm. And in classic Edgewater Style, it's time to cover the strawberries, oil and store the tools, prune the raspberries, grab the kazoos, and PARTY!! WHAT: Harvest Party Potluck!!! we provide some food, and drinks- but we invite YOU to bring YOUR favorite fall DISH to share... Our Own Pooh Sprague will be playing music with his band The Four Hoarse Men. and of course, dish to share..
WHY: good food, good fun... LETS CELEBRATE! Ray Sprague knocks the mud off the boots and tells us about life on the farm. Cook up a CSA basket that includes romano beans, kohlrabi, &”weird”potatoes. Join us July 25th for our seasonal Burlap Cloth Dinner with Guest Chef Eli Morse. Dine in the Farmstand's Plant Barn and indulge in the harvest. Here ye! Here ye! The annual CSA Strawberry Gleaning will take place this Saturday! Pick all you want, and enjoy this amazing summer weather! WHO: Open to the entire Edgewater Farm C.S.A. community, come say hi and check your name off the list- yes you can bring friends and family!! WHEN: Saturday, July 11... 3:15-5:00 p.m.
rot... good luck and enjoy! Come grab your bar-b-q necessities early, check out Plainfield's parade and let's all knock off at 2pm and cool out by the riverside to celebrate July 4th! bottom line, Farmstand closes early at 2pm. Alright Upper Valley!! The time has finally come- Fresh food picked from our fields available at your local farmstand begins Wednesday June 17th! FYI, this also coincides with the first farmstand CSA pick up. have you signed up yet? Huge Plant sale yall!!! Buy any 2 Packs or Veggie Starts, get the third free- from now until they are gone. Crazy good deal. Opening Day this Friday! Also this season, we celebrate the green by going green (i.e. no mailers). Mention you saw this post and receive 10% off anything green (as in plants) until May 8th. Hey Grantham CSAers- Past, Present, Future, interested, etc... Join me tomorrow night at Eastman's South Cove at 6pm! We will check in about last season, and the upcoming season- it shouldn't take long. If you are unable to make it- please tell your friends. This is an especially great opportunity for interested folks to learn about how the CSA works. I will have forms and info available for anyone who wants to sign up. I can't promise snacks- but i will try to make it happen. I miss Tuesday afternoons at Eastman- Looking forward to tomorrow night!